Can you believe Christmas is almost here??? I feel like December flew by so fast! 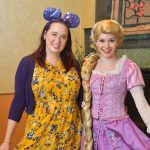 I had so many Disney-rific DIY projects planned but ran out of time, so I will have to save some for next year! 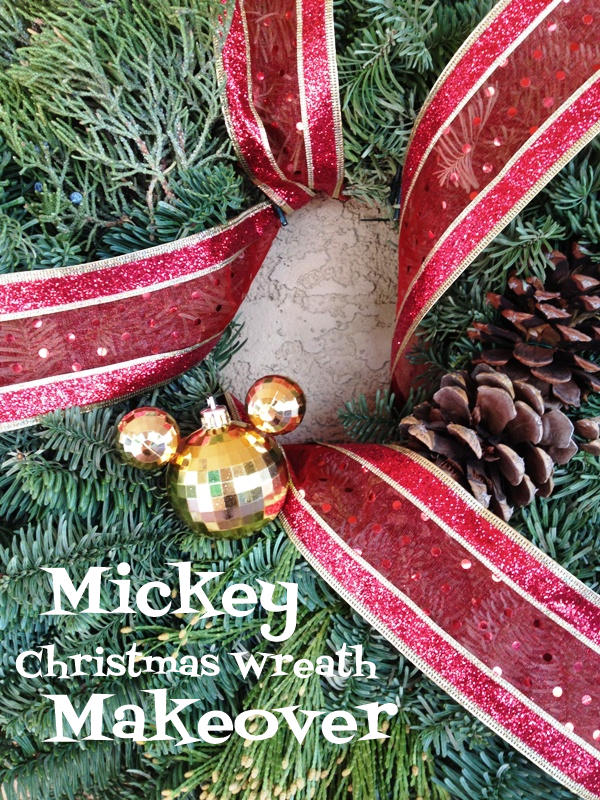 I wanted to squeeze in one more quick project so I quickly gave this plain Christmas wreath a Mickey makeover! 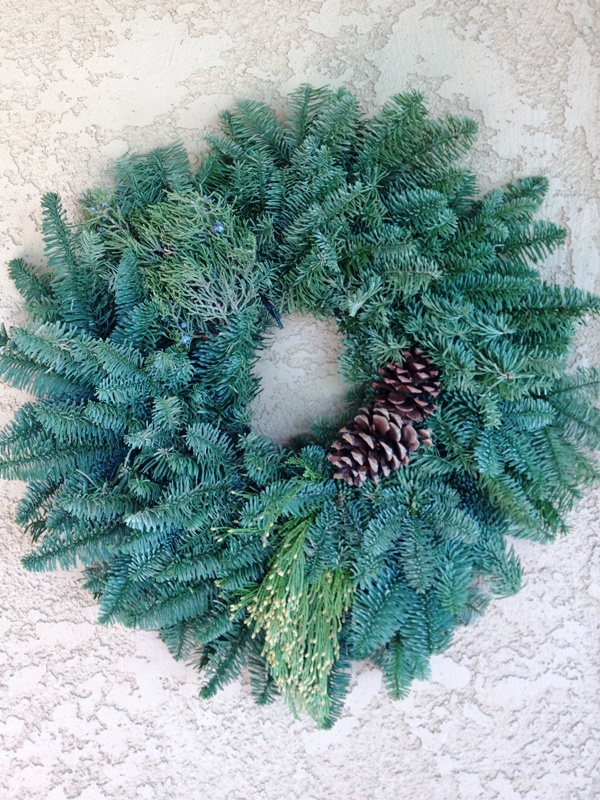 This one is so easy to do … all you need is a wreath (real or fake! 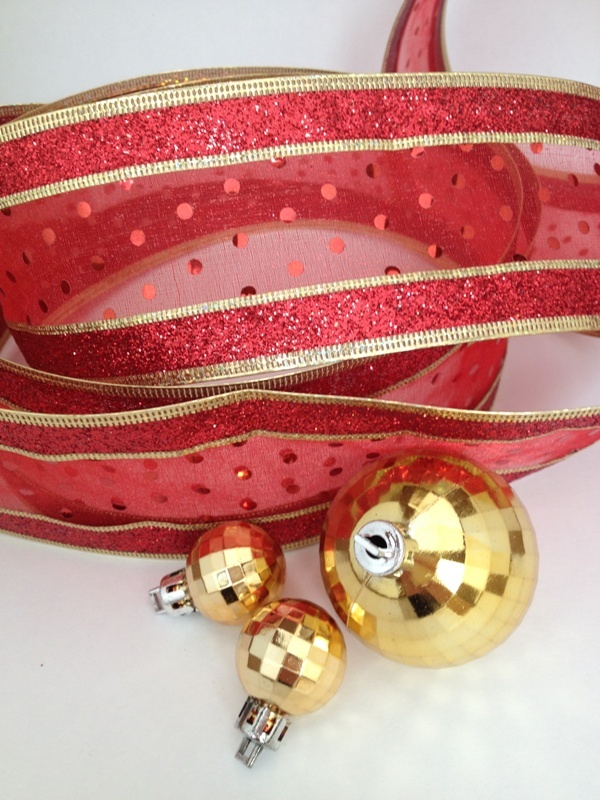 ), some ribbon, three ornaments, and a hot glue gun! 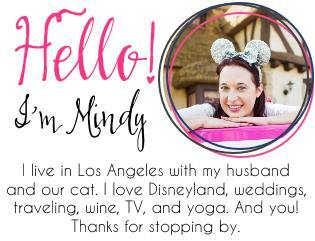 Once you have your supplies this project will take you about five minutes and you’ll be the envy of all your neighbors. Three ornaments, one larger and two smaller, but same size also works. 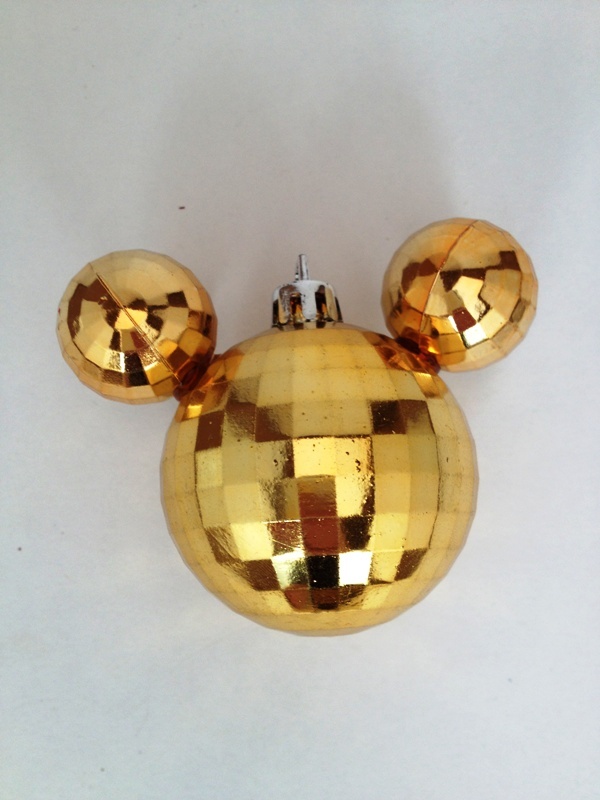 Step 1: Create your Mickey head using the ornaments and hot glue. Just put a dab of hot glue on the larger ornament and stick the smaller ornament in place. Repeat equal distance from the top on the opposite side. Ta-da! 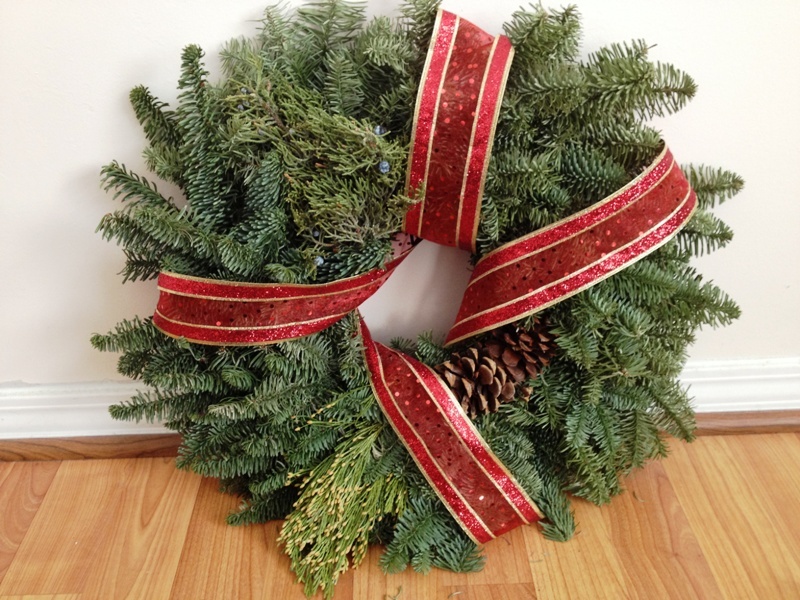 Step 2: While the glue dries from Step 1, wrap your ribbon around your wreath. 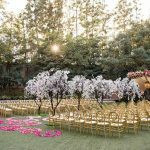 If your ribbon is wired, you should be able to secure the ribbon in place by wrapping it gently around the greenery in the back. 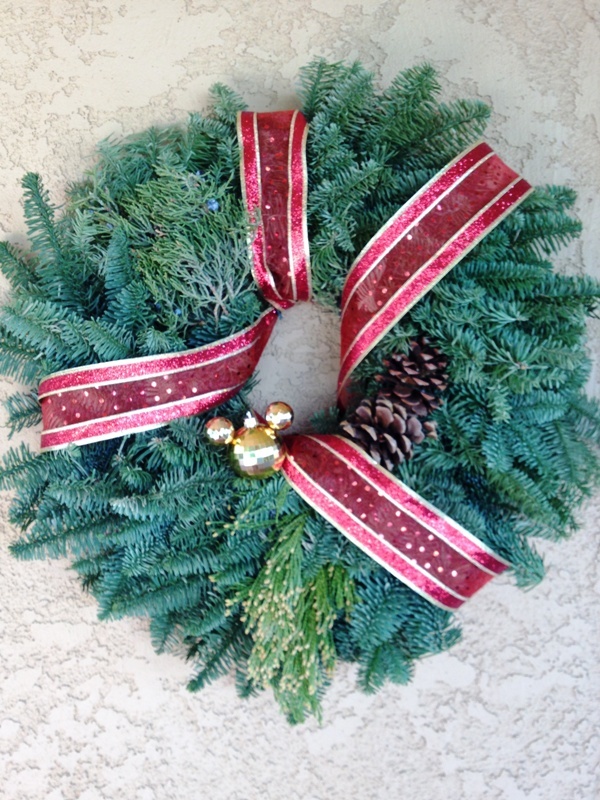 My wreath is “standard” size (I suppose) and I used three feet of ribbon. Step 3: Glue your Mickey ornament in place, somewhere along the inside circle of the wreath. No precision required here – just pick a spot you think looks good! 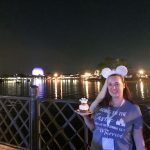 I love the little disco-ball hidden mickey! Adorable! What did you do with the tops/part that sticks out of the smaller round ornaments?